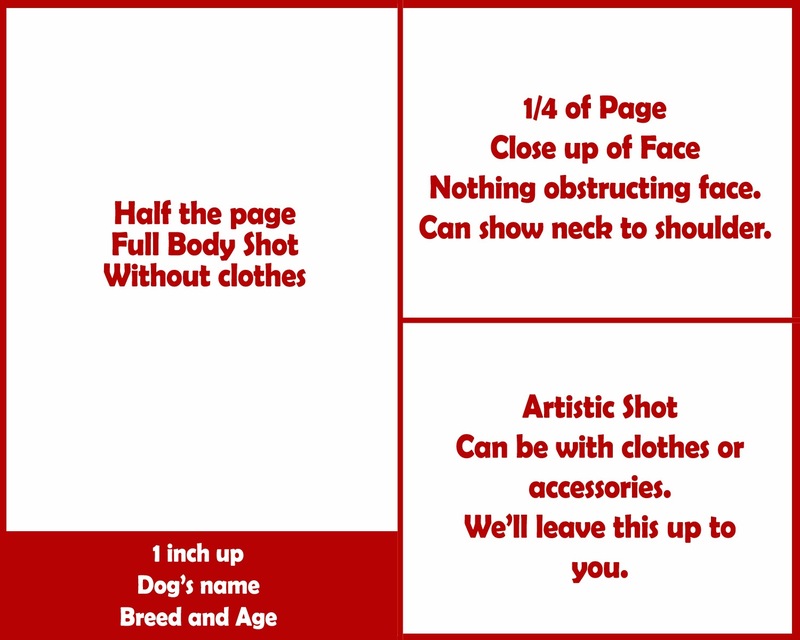 Create a model card using 3 pictures of your pet. 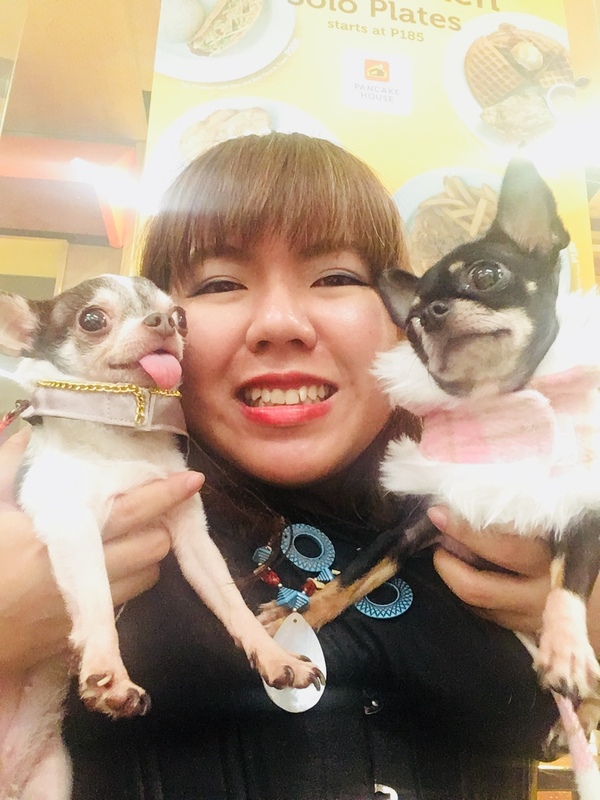 Open to dogs and cats! One should be full body shot either sitting or standing (without clothes, leash and collar is ok). One is close up of the face. One is an artistic shot with clothes and accessories. This can be a play shot. We leave it to your artistic talents. Optional: + 3 points for using Baby Moon Pawprints products. 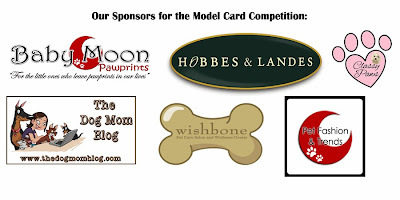 Make sure your Model cards do not exceed 10 Mbs. The size is 8x10inches or 8R. 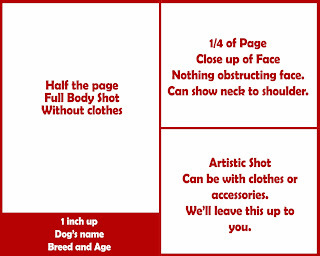 E-mail your model card to babymoon.lifestyle@gmail.com. 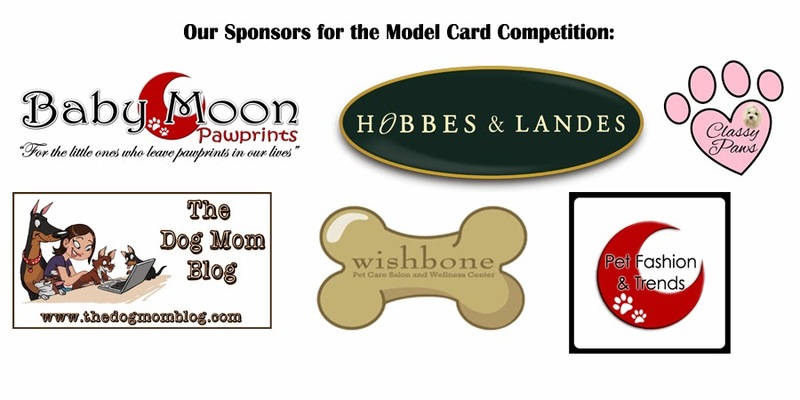 Model cards will be posted in Facebook.com/BabyMoonPawprints. Friends can vote as soon as it's posted. 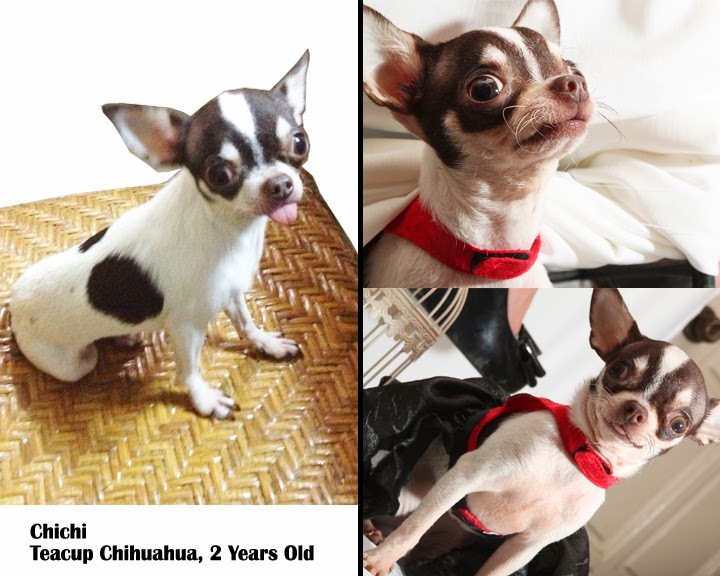 The earlier it's sent, the earlier it's posted and you have more voting time. Each like is a 1point vote. Judges vote is equal to10 points. 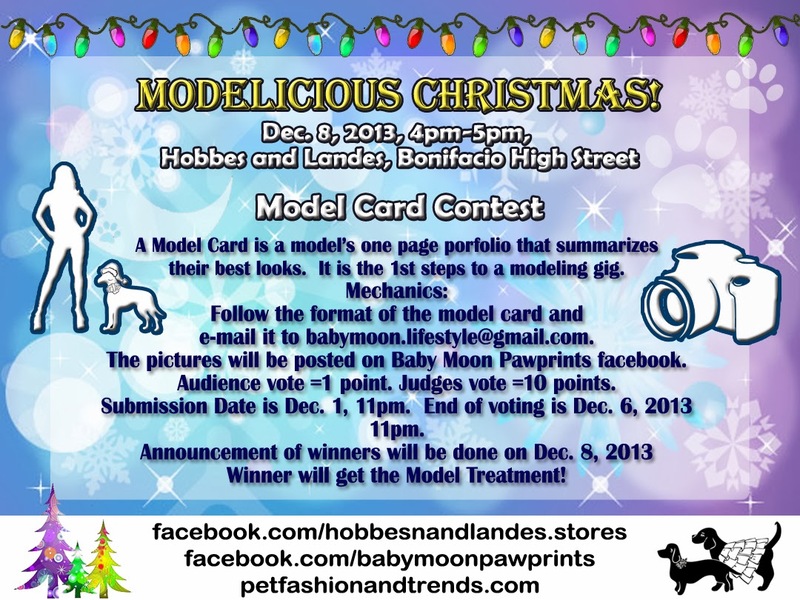 Last day of sending model cards is on Dec. 1, 2013 11pm. 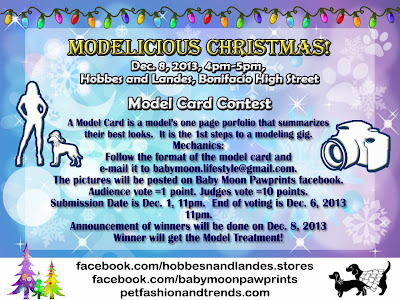 Last day of voting is Dec. 6, 2013, 11pm. Winners will be announced on Dec. 8, 2013.